Why do cities make it so hard to find out about public meetings? My job, my interests and my life compel me to care about the place where I live. I care about the safety of our streets, the success of our local businesses, the economic wellbeing of my fellow residents and a myriad of other things. So naturally, I try to keep up to date on government decisions that will impact these things, particularly if I have strong feelings about a particular issue that I want voiced. 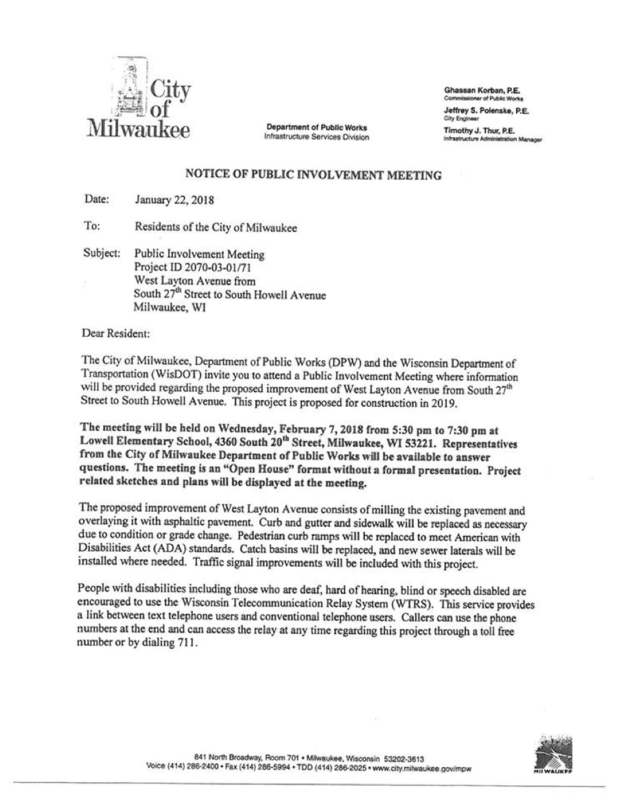 I’m not regularly setting up personal meetings with my alderman or anything (although this recent guide made me feel well equipped to do that should I desire to), but I do try to attend public meetings if they relate to something I care about or that directly impacts my life. I don’t have kids and my schedule is flexible enough that I can usually make time for a meeting if I know about it in advance. But that last part is key. After living in this city for more than three years, I still find it very hard to stay in the loop about what’s actually going on here. It’s not for lack of trying. I’ve signed up for an obnoxious amount of government email lists, followed several city departments on social media, and joined my neighborhood association. I stop by the community bulletin board at the library at least once a week and I read local news outlets every single morning. And still, in spite of all of this, I regularly hear about local decisions and community meetings that have occurred completely without my knowledge. Or, one step above that, I get an email from a government agency about an important meeting that’s happening the very next day. Most recently, I got notified about a meeting that was literally happening two hours after the email was sent. Not even I, with my flexible schedule and no childcare to worry about, could make that one work (and I can’t imagine how any of my neighbors with far busier lives could have attended). If I had attended the public meeting (and perhaps brought some likeminded neighbors), this headline and the gathering it describes might not have been so one-sided. But I had no idea the meeting was happening, so my voice was not part of the discussion. I suspect plenty of other Milwaukee residents are in the same situation. I did manage to find my way to the County Parks email list and signed up for that, but while on the site, I thought I might try to sign up for other department email lists. No luck there. Most of the departments I clicked through didn’t have any information about getting email updates. The closest I came was a listing for “Newsletters,” which took me to a page with a handful of links to previous newsletters from 2014 and 2015. There was nothing more recent and no space to sign up. I’m open to the idea that this might just be a city problem and that my friends who live in smaller towns may have an easier time keeping their finger on the pulse of local goings on. But I’m mystified as to why a person with a college degree, a strong interest and concern for local issues, and access to a computer with internet on a daily basis repeatedly fails to be informed about local meetings. And if I can't manage it, I can't imagine that someone without these advantages would have an easier time. Advertising public meetings should be of the utmost importance for every local leader, and the internet makes it incredibly easy to do that. Email, Facebook, Twitter, and other social media outlets are all free to use. You just need staff who are knowledgeable about how best to communicate on those platforms. And maybe that’s the real problem; city communications offices are understaffed and under-prioritized, and other departments are bound by government communications restrictions that prevent them from publicizing their own stuff — or at least publicizing it in a way that actually tells people why they should attend and why their perspective is needed, instead of notices like the one on the right. If you work for local government, what do you do to ensure that community members know what’s going on in your town and have a chance to offer input? Is your city doing better (or worse) than mine? If you’re a resident, how does your local government keep you informed on important meetings and how could they improve? For everyone reading, do you have ideas for making this process easier and better?